Hofner used to lead the way in basses, especially in the UK. This was long before the rise in popularity of the violin bass. Since then, however, basses like the Fender Jazz and Precision basses have taken over in popularity and classic double cutaway hollowbody basses have somewhat been forgotten. Until now. The new Hofner Verythin bass certainly has a distinct sound, and it excels in giving those classic hollowbody tones. It is constructed using a solid core in order to prevent feedback, but that doesn’t mean the hollowbody sound isn’t there. Quite the contrary. The bass also includes Hofners classic free floating bridge. While some might view this as not a very smart move because of a lack of adjustability, this bridge is responsible for a lot of that classic Hofner sound, and is a welcome addition on this particular bass. The two pickups are spread quite far apart, and the bass gives a warm and deep sound. The tone is tight and has a nice thump, yet quite cutting, in classic Hofner style. The Hofner Contemporary Series Verythin bass is a great all rounder. 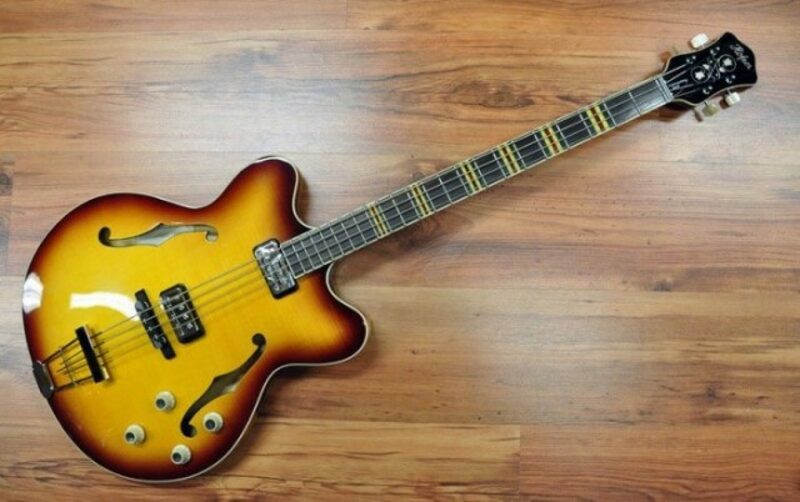 It has attitude and style, and gives that classic Hofner bass sound.